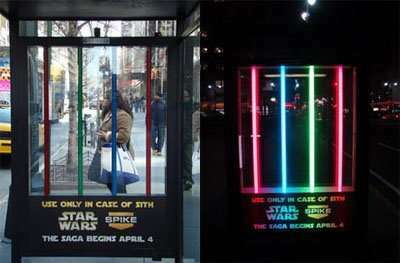 This a very clever ad for a Star Wars movie placed at a bus stop. 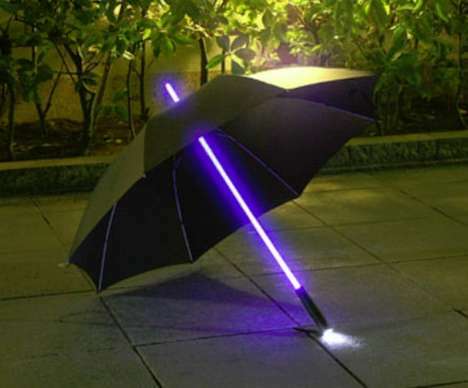 I particularly like where it says, "Use in case of Sith." The Sith, of course, are a group of mean villains characterized by their single-minded lust for power and disdain for sentient life, they are an alliance, of sorts, of warrior priests who use the dark side of the Force, who serve as counterparts to the goodie-two-shoes Jedi Knights. 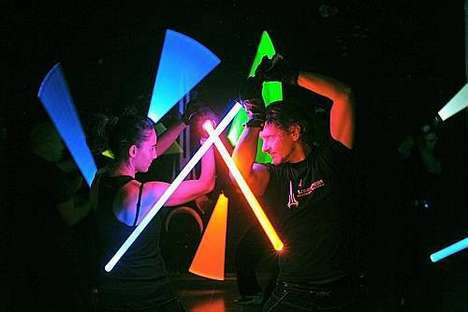 At night, you can see the lit up Jedi Knights' lightsabers that you're supposed to use in case you run into a Sith. May the bus be with you.